Mönchengladbach - UEFA Champions League participants Borussia Mönchengladbach remain rooted to the foot of the table having suffered a second successive defeat in a 2-1 loss to 1. FSV Mainz 05. Fresh from their defeats on the opening Matchday, both sides adopted a risk averse approach to proceedings with Gladbach controlling the pace of the game. Yunus Malli and Fabian Frei both struck the woodwork either side of Thorgan Hazard’s strike being ruled out for offside, before Jairo Sampeiro broke the deadlock on the cusp of half-time with a tidy back-post finish at the end of a perfectly executed counter attack. The tides turned soon after the break when Lars Stindl found Patrick Herrmann, who needed just one touch to engineer space, allowing him to lash a fierce strike into the bottom corner. Herrmann and Hazard both went close to handing the hosts a lead for the first time in the match, but for all their late pressure Gladbach were left shell-shocked when Clemens produced the winning goal ten minutes from time. Signed on loan from FC Schalke 04 during the winter transfer window last season, Christian Clemens hasn’t had an easy time of it with 1. FSV Mainz 05. However, now injury free, he has hit the ground running in 2015/16 for the Karnevalsverein and, on Sunday, set up Jairo Sampeiro for the opener before finding the net himself with his only shot of the game, add to the goal and assist he provided in Mainz’s DFB Cup 1st Round win over Energie Cottbus. Yoshinori Muto made his Bundesliga bow, but while the Japanese international striker had to endure a frustrating day in front of goal, 1. FSV Mainz 05 made no mistake in capitalising on Borussia Mönchengladbach’s individual errors to clinch their first win of the 2015/16 campaign. Gladbach have conceded nine goals in their last three leagues games dating back to last season. 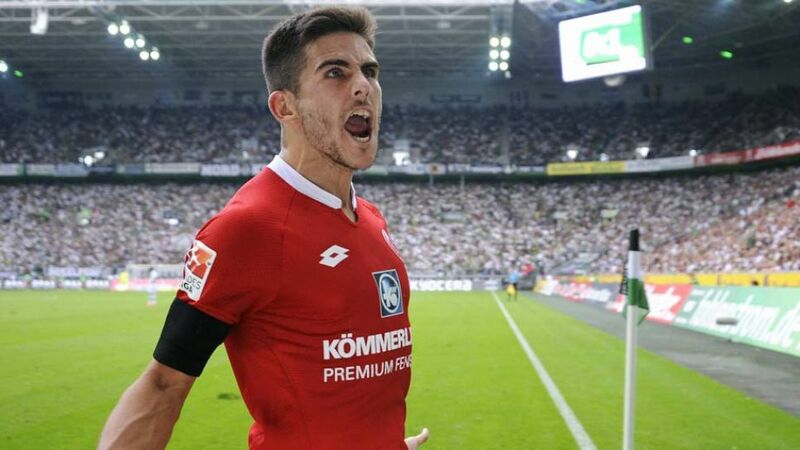 In their previous 16 Bundesliga encounters in 2015, the Foals had conceded just seven.Patrick Herrmann has scored nine Bundesliga goals in the current calendar year. Only three top-flight players have found the net more often in that timeframe.